The death of someone we love is painful, and it is natural for us to mourn. As Christians we share in our grief, but understand that this life is not the end. Following death, those we love celebrate life through the funeral service to share in the promise and hope of the Resurrection through our Lord and Savior, Jesus Christ. 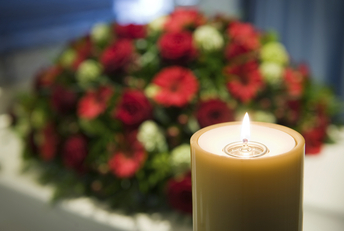 In our efforts to assist you in properly planning a memorial or funeral service for your loved one, the following information concerning the funeral service is intended for your consideration. Christians recognize the inevitability of death, and the Christian gospel powerfully addresses the reality and experience of death. Christians affirm their confidence in Christ’s victory over death and the grave and proclaim that death cannot separate human beings from the love of God, which is in Christ Jesus. 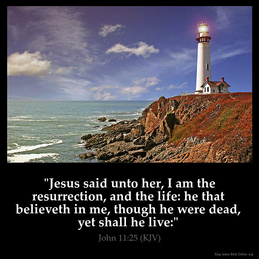 The belief of Christians in the resurrection from the dead is not a belief which denies the reality of death or suggests that persons have within them some form of immortality. Rather, it is a belief that God’s love and power are greater than the power of death, so that though we die from this human life, we are given new life, a new existence in God’s eternity. All this, Christians affirm because of the resurrection of Jesus Christ from the dead on Easter. The Christian funeral is a worship service in which God’s people witness to their faith in the hope of the Gospel, the communion of saints, the resurrection of the body, and the life everlasting. A funeral service at Centerport United Methodist Church is worship of the true and living God. The funeral is God’s way of bringing comfort to the hearts of those who mourn as scripture is read and preached, prayer is offered, praises are sung, grief is expressed, and remembrances are cherished. The presence of family and friends at this time serves to support and strengthen those who sorrow. The funeral gives thanks for life and lifts meaningful memories of the lost loved one, helping us learn vital lessons from it. Thus, in the funeral service, we gather primarily to worship God and confess our faith in a living Savior. Though we mourn our loss and remember our loved one, our focus is fixed on the grace of God and everlasting life in his Son, Jesus Christ. Additionally, the Christian community has special responsibilities toward persons who are dying and toward those who are bereaved. Persons who are confronted with imminent death should not be isolated from the Christian community nor should members of the community try to convince them that they are not dying. Instead they should be supported with love, and affirmed as persons loved and forgiven by God. Even for Christians, the death of a loved one is a difficult experience. We grieve the loss of one who has been close, but we do not sorrow as those who have no hope (1 Thessalonians 4: 13). It is our desire and privilege to minister to the families of our congregation in their time of need. It is particularly through the private and public ministry of the Word of God that we have hope at the time of the death of a loved one (Romans 15: 4). We realize that the funeral is a personal experience as well as a religious one. Consequently every effort is made to be sensitive to the preferences regarding death and burial of the dead which are characteristic of each family and honor those customs whenever possible. Our Pastor will work with your family and Funeral Director(s) to ensure that there is adequate understanding of the funeral with respect to our own church’s theological understanding and practice. Please contact the Church Office at 631-261-5222 and ask to speak with Pastor Roy Grubbs regarding planning, counseling, and providing a Christian funeral.